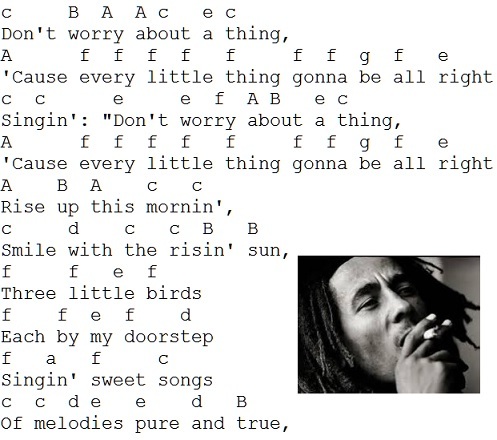 Three Little Birds Tin Whistle Sheet Music in the key of D major. A Bob Marley song. This one was a request from the facebook page a while back and I'm only now getting around to making it. Reggae music isn't really my cup of tea but I gave it a try. It goes a little bit high but you can always transpose the tune down to a lower level.